Secret to a great photo booth: Great props! 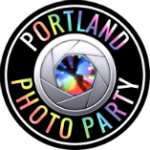 Portland Photo Party provides a big table of props designed to tap into the nuttiness of all your guests. They'll all have a blast trying on our wide assortment of outrageous wigs, novelty glasses, crazy hat, mustaches-on-a-stick, colorful feather boas and fantasy masks. We're constantly adding new props for the enjoyment of our clients. All props are cleaned and disinfected before each event.